Mr. Chinaswamy has adopted Precision Farming Technology (PFT) developed by TNAU. PFT requires less number of seedlings (14500 compared to 23000 by conventional method). Chisel ploughing is used in main field, PFT extends crop duration thus facilitating more pluckings per season. The year he adopted PFT, he witnessed a phenomenal increase in productivity, from 40 tonnes using conventional methods to 170 tonnes of Eggplant (Brinjal) in the cropped area of 1.2 acres. In tomato, he witnessed an increase of 135 tonnes from 25 tonnes, in 2.5 acres. In both cases, his yield increased by over 400%. Additionally, he founded a farmers company to promote PFT. 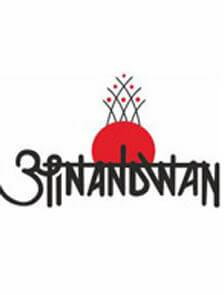 The company provides agri inputs at MRP or less, and has a turnover of 2.5 crores. In the wake of his success, over 4000 fellow farmers have adopted PFT within three years. Mr. Chinaswamy has received the Velanmai Chemmal Award from the Tamil Nadu Agricultural University. The Mahindra Samriddhi India Agri Awards is proud to acknowledge the remarkable achievements of Mr. P. M. Chinaswamy by awarding him with the KRISHAK SAMRAT SAMMAN 2011 (National Award). Mr. Raghuvansi developed new varieties of Wheat, Rice, Pigeon Pea and Mustard through a special 'Selection Process. 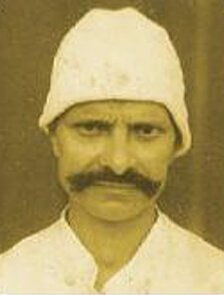 He has branded his seeds as "Kudrat", and is well-known locally as the 'Seed Man'. The varieties have been approved by a number of Agri-institutions like Chandra Shekhar Azad University of Agriculture and Technology (CSAUAT), Kanpur; NarendraDev University of Agriculture and Technology (NDUAD), Faizabad; Indian Institute of Pulses Research (IIPR), Kanpur; National Research Centre for Rapeseed (NRCR), Bharatpur; Directorate of Wheat Research (DWR), Karnal and the Seed Production Center, Pantnagar. His price realization of rice has gone up from Rs. 4 per kg to Rs. 5 per kg. He has achieved all of this despite being visually impaired from birth. The Mahindra Samriddhi India Agri Awards is proud to acknowledge the remarkable achievements of Mr. Prakash Singh Raghuvanshi by awarding him with the KRISHAK SAMRAT SAMMAN 2011 (Regional Award – North). Innovation Mr. Ram has attended several trainings and learnt new technologies in agriculture. In tomato farming, the productivity in his farm has been increasing year on year and has gone up by 87% over the last year . He has consistently been given awards from the State for his high yield. Also, his price realization per kilo of rice has gone up to Rs. 10. He disseminates the learnt technologies to his fellow farmers. Among the awards bestowed upon him, are the Kisan Shree at block level from Bihar State Government, the Udhyaan Pandit award at State Level from the Bihar State Government for Potato and Brinjal, and the Krishak Gyan Patiyogita from Rajendra Agricultural University, Pusa, Bihar. The Mahindra Samriddhi India Agri Awards is proud to acknowledge the remarkable achievements of Mr. Raja Ram by awarding him with the KRISHAK SAMRAT SAMMAN 2011 (Regional Award – East). Mr. BachubhaiSavjibhai's contributions are one of a kind. He designed and developed an innovative way of fencing the farms, which not only prevented animals from entering fields and destroying the crops, but also helped reducelabourcost and man hours on fencing. He is also responsible for engineering a joystick operated mini tractor and a battery operated spray pump, which have had their own favorable impacts on farming costs and time. As a result of which, he has seen a 37.50% increase in benefit to cost ratio (yield/ cost of cultivation). National Innovation Foundation has presented him with 'National Award for Innovation' for development of Joystick operated tractor and former president Dr. A.P.J Abdul Kalam has honoured him for his work in the field of agriculture. Mahindra Samriddhi India Agri Awards is proud to acknowledge the remarkable achievements of Mr. BachubhaiSavjibhaiThesiya by awarding him with Krishak Samrat Samman 2012 (Regional Award - West). Innovation In 2004, Galbiben began with 4 buffaloes and 1 cow and has now moved to manufacturing milk products and selling them as a branded product Madhavi in nearby villages. With the money she earned she bought 90 heads of buffalo and 35 heads of cow. She adopts hygienic maintenance of cattle shed. Her unusual methods of treating the cattle with love and care, feeding them with organically grown fodder and playing music while the cattle are milked has led to a superior fine quality of milk as certified by Sardar Krushinagar Agricultural University. Milk production at her dairy is now at 700 litres per day. She has added new products and expanded her self made brand into the areas of Talanpur, Mehsana and Patan with four proper Market networks. She is experimenting selling organic cleaning liquid made out of cow urine. She is also giving employment opportunities to the youth by engaging them in the dairy business. The Mahindra Samriddhi India Agri Awards is proud to acknowledge the remarkable achievements of Ms. Galbiben Jethabhai Kuniya by awarding her with the KRISHI PRERNA SAMMAN 2011 (National Award). Originally from Ganjam, Ms. Pradhan purchased 13 acres of land in Nua Chotaguda suitable for growing coffee. Soon after she also introduced Black Pepper in her estate. Her eldest son is also involved in taking care of the plantation and has gained knowledge about innovative technologies while travelling to learn from the estate owners of Kerala, Karnataka and the Indian Institute of Spice Research, Calicut. She now has her own processing unit for Black Pepper and Coffee. She uses a motorized Sprayer and De-Coning machine. She is preparing Vermicompost and Bordeaux mixture in her estate and using it as organic manure and fungicide respectively. By using innovations such as planting Silver Oak around her land (as black pepper thrives in shade), her productivity increasing consistently, and her productivity has gone up by 23.43% since last year. 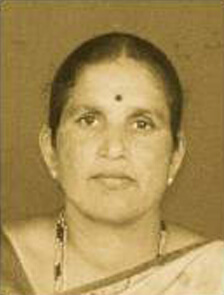 She is also instrumental in educating fellow farmers to grow Black Pepper in the nearby village of Kindiriguda. The Mahindra Samriddhi India Agri Awards is proud to acknowledge the remarkable achievements of Ms. Uma Pradhan by awarding her with the KRISHI PRERNA SAMMAN 2011 (National Award). 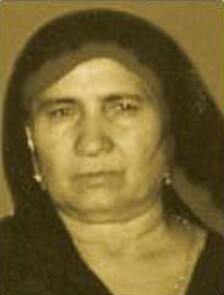 Ranjana Choudhary was cultivating Maize, Cotton and Sugarcane for the last 25 years but was not able to get much profit. Hence she switched over to an innovation of cultivating Papaya. She has also deployed drip irrigation and fertigation through drip irrigation. The same year she registered a productivity enhancement of 306%. 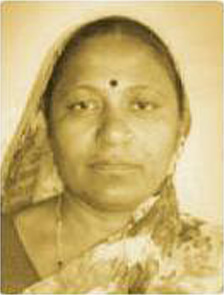 She has learnt the process of successful Papaya cultivation in Maharashtra from her relatives and has adopted the same. The fellow farmers of the village have seen her success and are interested in cultivating Papaya also. The Mahindra Samriddhi India Agri Awards is proud to acknowledge the remarkable achievements of Ms. Ranjana Choudhary by awarding her with the KRISHI PRERNA SAMMAN 2011 (Regional Award - North). Ms. Anusuyamma is the first farmer to bring Arecanut to an exclusively Paddy Area. She uses organic farming to grow Arecanut. Initially they had setbacks in growing Arecanut, yet she overcame those setbacks to consistently increase the yield of Arecanut year on year. She is also the first farmer to grow Ginger in the area. She is the leader of a Self Help Group which has 25 members. She helps and educates farmers on organic farming of Arecanut and Ginger. The Mahindra Samriddhi India Agri Awards is proud to acknowledge the remarkable achievements of Ms. Anusuyamma by awarding her with the KRISHI PRERNA SAMMAN 2011 (Regional Award - South). Maharogi Sewa Samiti reaches out to surrounding villages and communities around project sites. In 2002, almost 60,000 people received some form of support from MSS. MSS helps by providing the rural youth in surrounding villages and the Anandwan residents, an opportunity to obtain higher education and better jobs in the social mainstream. The organization also has special schools for secondary certificate level education for tribal children as well as rural children with visual or hearing impairments, or other disabilities. MSS also provides agriculture related guidance, and imparts improved farming methods in crops, horticulture, biomass and compost fertilizer manufacturing, animal husbandry, bee-keeping, etc. MSS provides models and practical advice to agriculturists in Central India for improving production and income through use of improved seed varieties, better operating procedures, fishery development, crop-rotation, inter-cropping with pulses, use of bio-mass, bio-fertilizers prepared from farm waste, vermiculture, effluents of bio-gas plants, bio-control (pesticide measures) and animal husbandry. Baba Amte (the founder) and the Amte family has been awarded many significant international and national awards for their contribution to social justice and human rights including the Right Livelihood Award, the Magsaysay Award, the UN Human Rights Prize, the Templeton Prize, Padma Vibhushan, Padma Shree and the Rashtra Bhushan. Maharogi Sewa Samiti has also earned the Federation Of Indian Chambers Of Commerce & Industry Award (for outstanding achievements in training and placement of disabled persons, Dr. Babasaheb Ambedkar Dalit Mitra Award in 1992, by Social Welfare Dept. Government of Maharashtra and the Satpaul Mittal Award in 1998, by Nehru Sidhant Kender Trust, Ludhiana, India. The Mahindra Samriddhi India Agri Awards is proud to acknowledge the remarkable achievements of Maharogi Sewa Samiti by awarding them with the KRISHI SAHYOG SAMMAN 2011 (National Award). 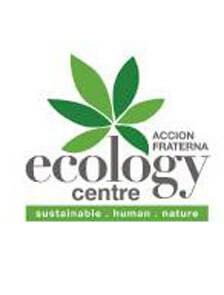 The AF Ecology Centre has been implementing their participatory micro watershed development programme since 1987 to 2007. In these 20 years it has worked in over 300 villages. It has treated 1.345 lakh hectares of cultivated land with watershed development, benefitting about 60,300 previously rainfed farmer families. The land treatment included contour bunding, gully plugging, rain water harvesting, horticulture, agriculture, CPR development and farm forestry. It has constructed 436 mini-percolation tanks benefitting about 3100 farmers; 1536 check dams benefitting about 4400 farmers; constructed 269 farm ponds benefitting 269 rainfed farmer families. Further, the watershed development brought a positive change in the land use from mono-crop of groundnut to the suitable rainfed horticultural tree crops like mango, tamarind, sapota, guava, etc. AF Ecology Centre has planted and nurtured about 19 lakh fruit trees benefitting about 20000 farmer families. The programme promoted vegetation and biomass development through farm forestry, CPR (Common Property Resources) development, village beautification and backyard horticulture, among other activities planting 13.5 million trees for biomass, fiber, fodder and minor fruit trees benefitting about 60000 farmer families. Improving Dry-Land capability of Degraded Lands in about 90,000 hectares, creating capacity to store an additional 90,00,000 cubic meters of surface water by renovating water bodies and building new ones (1175 in all); promoting rainfed farming practices (such as contour cultivation, inter-cropping and dead furrow) in 1,00,000 hectares and generating additional employment and benefiting 20,000 families of farm labour, are some of the key achievements of the Accion Fraterna Ecology Centre. The Mahindra Samriddhi India Agri Awards is proud to acknowledge the remarkable achievements of Accion Fraterna Ecology Centre by awarding them with the KRISHI SAHYOG SAMMAN 2011 (Runner-up Award). 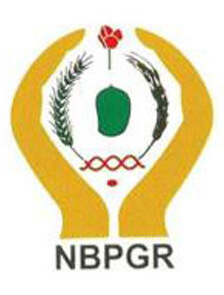 The Indian National Gene Bank has been established by the NBPGR to conserve national heritage of germplasm collections in the form of seeds, vegetative propagules, tissue/cell cultures, embryos, gametes, etc. Based on experience gained from working with a built-in cold storage vault obtained from UK in 1983, four modules were installed in 1986 for long-term storage of seeds of orthodox species . The Gene bank presently has 18 storage modules with a total capacity of about one million accessions. Currently it holds a total of 3,77,194 accessions of different agri-horticultural crops and ranks fourth in the world. It also has a large cryopreservation bank with holding capacity of quarter million samples of small seeded crops. A total of over 6,000 accessions can be stored in the in vitro repository. The Bureau has the distinction of receiving "Best Institute of ICAR" award for the year 1997 in recognition of its dedicated and meritorious service to the nation in the field of PGR augmentation, exchange, quarantine, characterization, utilization, distribution and conservation, and developing a network for efficient management of PGR in the country. Recently, NBPGR has been recognized as a Centre of Excellence for training on in vitro conservation and cryopreservation for APO Region. The Mahindra Samriddhi India Agri Awards is proud to acknowledge the remarkable achievements of National Bureau of Plant Genetic Resources by awarding them with the KRISHI SANSTHAN SAMMAN 2011 (National Award). 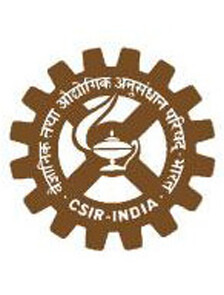 Central Institute of Medicinal and Aromatic Plants (CIMAP), Lucknow has been involved with improved agro-technologies and plant varieties of menthol mint, agro and processing technology and improved variety CIMAP-Arogya of Artemisia annua (the antimalarial drug plant), technology for rose scented geranium for Uttarakhand and recycling of plant agro waste. It has also contributed heavily in formulation of innovative farming technology. It took the initiative for the all-round development of promising plants and has developed technology packages for cultivation of important medicinal and aromatic plants (MAPs) including genotypes producing quality nucleus material acceptable in world market. The developed agro-technologies had been beneficial for the farmers (especially marginal farmers) as well as industries. CIMAP continuously guided the farmers through spot trainings and demonstrations to adopt improved plant varieties with agronomic practices that ensure quality production. It may be mentioned that quality essential oils/ herbs fetch premium price in the market. CIMAP has also focused towards developing newer products resulting in higher demand of essential oils and plant extracts. The agro-technologies developed and disseminated by CIMAP have been adopted by a large number of farmers in the county starting from small area of half an acre or less. Thus they have attained an industrial scale giving higher returns and immense employment opportunities. The Mahindra Samriddhi India Agri Awards is proud to acknowledge the remarkable achievements of Central Institute of Medicinal and Aromatic Plants by awarding them with the KRISHI SANSTHAN SAMMAN 2011 (Runner-up Award). 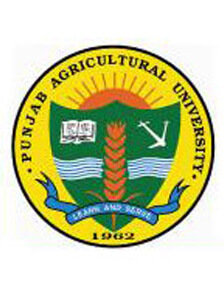 Established in 1962, Punjab Agricultural University (PAU) is the nation's second oldest agricultural university. It has an international reputation for excellence in agriculture. It pioneered the Green Revolution in India in 1960s and is considered as one of the best agricultural universities in Asia. This university has played a key role in increasing food grain production in the Punjab State, and ushering in an era of Green Revolution in India. It has also made notable contributions in increasing livestock and poultry production. PAU is also the pioneer in introduction, establishment & development of bee farming in India, contributing to 30% of national honey production. It also developed techniques for round-the-year mushroom cultivation. PAU has been instrumental in introducing, to developing and commercialization of high–tech farm machinery like the Laser Leveler. PAU has also contributed in areas of crop improvement (developed/released 693 varieties/ hybrids of crops), production & protection techniques for field, horticulture & forestry plants, farm mechanization, honey production & mushroom cultivation. PAU has been awarded the Best Institution Award for the year 1995 in the field of agricultural research, education & extension by ICAR, and the IPI-FAI award for balanced & integrated fertilizer use in the year 2009. The Mahindra Samriddhi India Agri Awards is proud to acknowledge the remarkable achievements of Punjab Agricultural University by awarding them with the KRISHI SHIKSHA SAMMAN 2011 (National Award). 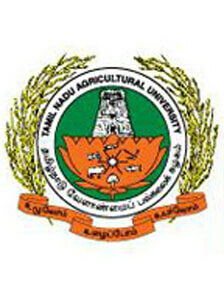 Tamil Nadu Agricultural University (TNAU) came into being on June 1971. TNAU's main agenda is education, research & extension in Agriculture, Horticulture, Forestry, Home Science & Agricultural Engineering. Currently, they have 36 Agricultural Research Stations (ARS) spread over seven agro climatic zones of Tamil Nadu. TNAU has played a crucial role by introducing IRRI varieties of rice like IR 8 and IR 20 & by developing 158 rice varieties that helped country to be self-sufficient in rice production. TNAU developed 91 management technologies - 40 for yield maximization, 4 for organic waste recycling & utilization, 15 for pest management, 3 transgenic technologies, 28 for value addition & food processing & 1 animal husbandry technology. TNAU has 14 Krishi Vigyan Kendras (KVK) for technology dissemination, TNAU Agri Tech portal has been involved in development of Market Intelligence Advisories and Dissemination through ICT Tools and Automatic Weather Stations (AWS). With TNAU, the Government is implementing a public – private partnership programme with the aim of bringing one lakh hectares under Jatropha cultivation over a period of five years. Bio diesel plants of 3000 litres/day capacity have been commissioned. For improving agricultural production with low cost of cultivation, improved farm implements and machinery have been developed by the TNAU with synergy between engineering & Agronomy which are being widely used by the farming community. The Mahindra Samriddhi India Agri Awards is proud to acknowledge the remarkable achievements of Tamil Nadu Agricultural University by awarding them with the KRISHI SHIKSHA SAMMAN 2011 (National Award). 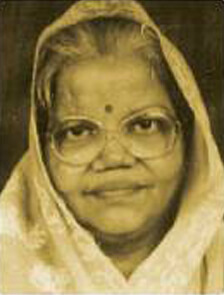 Dr. Mangina Venkateswara Rao was born on 21st June, 1928, in the coastal village of Perupalem. With a Doctorate in Plant Breeding & Genetics, he has over 53 years of experience in Agricultural Research and Management. 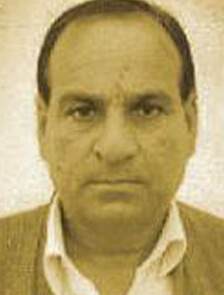 He has worked in Wheat Research for 30 years in India in various capacities, and has headed the All India Wheat Improvement Project of the Indian Council of Agricultural Research (ICAR) from 1971 till 1981 and was one of the key contributors in ushering in, as well as the wide scale spreading of the Green Revolution of India, particularly in Wheat. He also served the ICAR as the Deputy Director General (Crop Sciences) of ICAR during the period 1981 to 1986. From 1986 till 1989, he served as the first Director of the Prime Minister's Technology Mission on Oilseeds in the rank of Special Secretary to the Government of India. 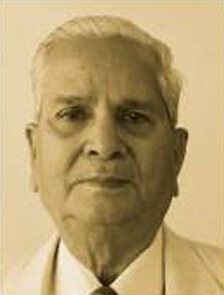 Between 1989 and 1990, Dr. M V Rao worked as an Agricultural Expert with the World Bank and later served for six consecutive years from 1991 till 1997 as the Vice Chancellor of the Andhra Pradesh Agricultural University. Dr. Rao is also an esteemed recipient of the Padma Shri, Norman Borlaug Award, Linker's Award, Peddireddy Thimma Reddy Award, Padma Bhushan Dr. P. Siva Reddy Foundation Award, Dr. Srikantia Memorial Award of the Nutrition Society of India and the Gold Medal of the Environmental Research Academy. Currently, he is the Chairman of the Agri Biotech Foundation (A.P. Netherlands Biotechnology Programme). Dr. M. V. Rao is known for taking his scientific research directly to the villages. He is still very active as a mentor to different agricultural bodies. He is serving on various committees of the Government of India, Government of Andhra Pradesh and the ICAR. He is on the Scientific Advisory Panel on Coastal Eco System of the National Agricultural Technology Project (NATP), and Vice President of the National Academy of Agricultural Sciences. The Mahindra Samriddhi India Agri Awards is proud to acknowledge the remarkable achievements of Dr. M.V. 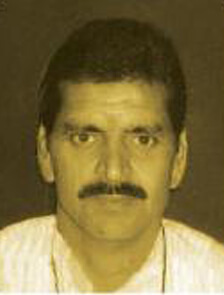 Rao by awarding him with the KRISHI SHIROMANI SAMMAN 2011. Born on 7th August, 1925 in Kumbakonam, Tamilnadu, Monkombu Sambasivan Swaminathan was the second of the four sons of a doctor. His ancestral home is the island village of Monkompu, Alleppey District, Kerala. Known as the "Father of the Green Revolution in India", Prof. M. S. Swaminathan was a leading figure behind the success of introduction and further development of high-yielding varieties of wheat in India. He is the Founder and Chairman of the M. S. Swaminathan Research Foundation. His stated vision is to rid the world of hunger and poverty. Prof. Swaminathan is an advocate of moving India to sustainable development, especially using environmentally sustainable agriculture, sustainable food security and the preservation of biodiversity, which he calls an "evergreen revolution". In 1999, Time magazine placed him in the Time 20 list of most influential Asian people of the 20th century. Prof. Swaminathan has received the Padma Shri (1967), Padma Bhushan (1972), Padma Vibushan (1989), Shanti Swarup Bhatnagar Award for contributions in Biological Sciences (1961),Ramon Magsaysay Award for Community Leadership 1971, World Food Prize 1987, Dr. J.C. Bose Medal and the Indira Gandhi Prize for Peace, Disarmament and Development. 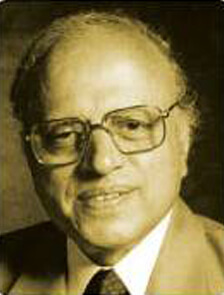 Prof.
Swaminathan's work has also made a mark internationally with him receiving the Bicentenary Medal of the University of Georgia, U.S.A. 1985, Bennett Commonwealth Prize of the Royal Society of Arts for significant contributions to Household Nutrition Security 1984, Mendel Memorial Medal of the Czechoslovak Academy of Sciences for contributions to Plant Genetics 1965 and the Ordre Du Merite Agricole (Commander of the Agricol Merit), France, 2006. Currently, he is providing guidance and leading the revolution as a Nominated Member of the Rajya Sabha. In the early '60s, India grew some 12 million tons of wheat every year. Starvation was rampant and the country imported much of its food. Swaminathan, an agricultural geneticist, not only developed new strains of high-yield wheat for his country, but also the programs that led to an India which now exports food. His NGO, M. S. Swaminathan Research Foundation (MSSRF), established in 1988 all along been developing and following a pro-nature, pro-poor, pro-women and pro-sustainable on-farm and non-farm livelihoods through appropriate eco-technology and knowledge empowerment. The Mahindra Samriddhi India Agri Awards is proud to acknowledge the remarkable achievements of Prof. M.S. 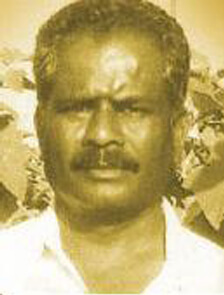 Swaminathan by awarding him the AGRI ICON OF INDIA.